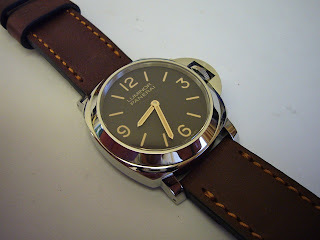 I did not expect the strap to arrive on the day I left for the CNY holiday but I am glad it did. 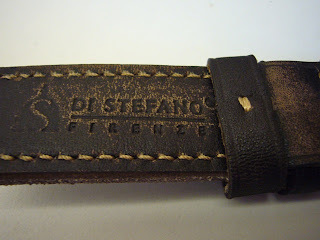 The strap is the Museum Limited Edition strap from Di Stefano Straps. I have to say this is one of the nicest looking strap I have. From what I read, these straps were made as part of the straps commissioned by the Italian Navy Museum to replace the old and worn out straps on the watches and equipment in their museum. 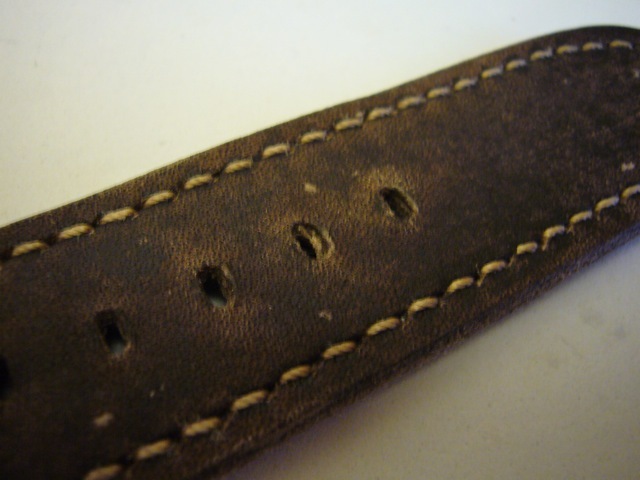 The one I got is the washed tobacco colour, 24 mm width, 130/85 mm length. 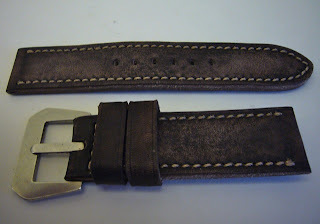 I will write more about the strap when I review it. But for now, the strap. 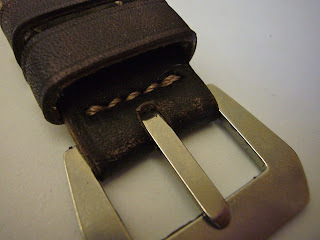 The strap, very very nice and thick. 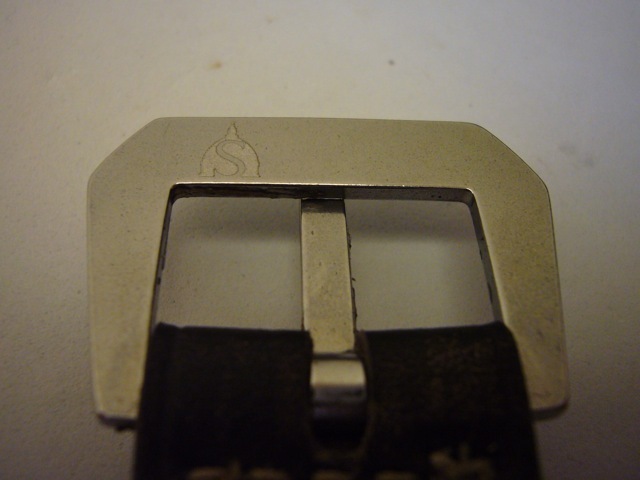 The other end of the strap. There were some leather left in the holes. 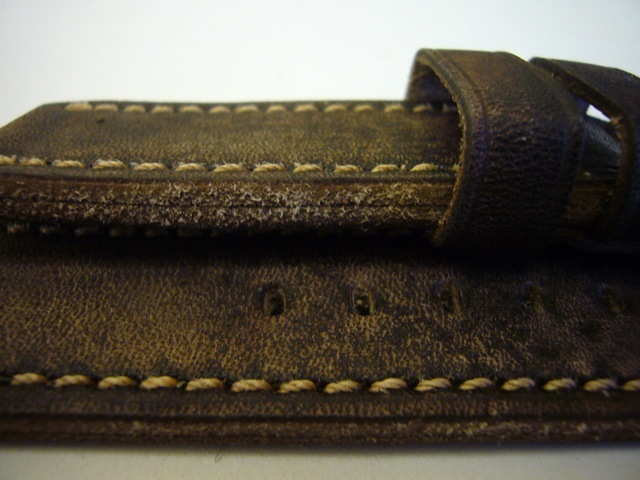 Beautiful stitching and great overall quality. I love the untreated edge. 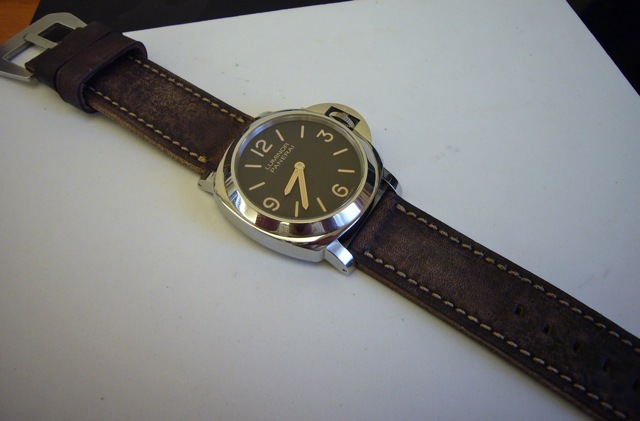 The watch that got the strap? The PAM00390.